INEA puts special emphasis on a close relationship with its beneficiaries. One way of dialogue is the Advisory Group, which constitutes a platform to discuss ways to improve the efficient implementation of CEF transport for the beneficiaries, Member States and the Agency/Commission alike. It supports the Agency in achieving its mandate and aims to maximise the expertise of both the Agency and Group members through the sharing of knowledge, experience and good practices. The objective is to find viable and economical solutions to common problems and develop shared positions where appropriate through the provision of support, advice, feedback and recommendations related to simplification of procedures, ease of access and increased transparency. The consolidated conclusions and recommendations of the Advisory Group will be provided to the management of the Agency for their consideration. The personal data within the framework of the INEA Advisory Group for CEF Transport is processed according to this privacy statement. 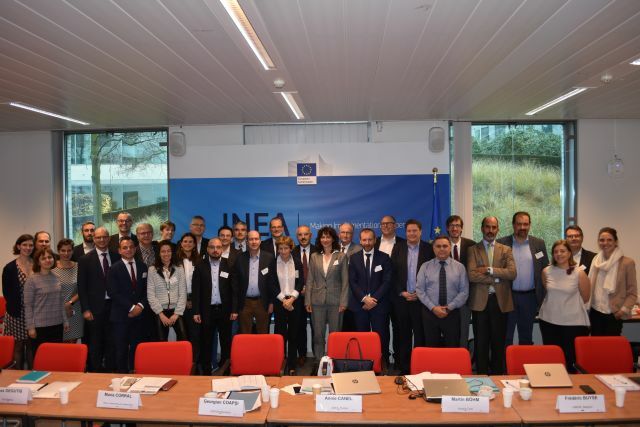 The first meeting of the Advisory Group under its new mandate took place on 14 November 2018. The presentations given during the meeting are available here.